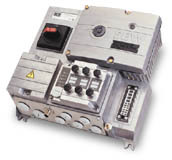 SEW-Eurodrive provides a wide range of electronic control systems, from motor mounted frequency inverters to drives with complex positioning capabilities. With SEW you get single source convenience, proven performance and drive packages that are right for your application needs. 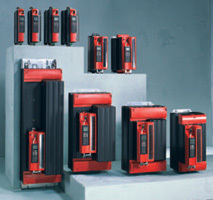 MOVITRANS® is a contactless energy transfer system for mobile loads. Consisting of both a stationary converter/transformer and one or more mobile pick-up units, it transfers electrical power between components without any contact (inductively) via an air gap. The new MOVIFIT® system combines the established advantages of SEW-EURODRIVE decentralized installation technology with modern, application-oriented drive and communication functions. 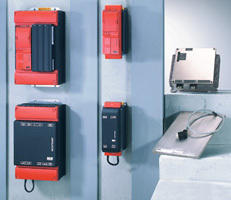 MOVI-PLC® is a family of programmable logic controllers for inverters. 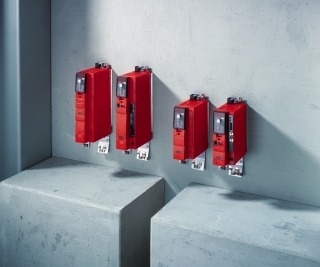 It allows drive solutions, logic processes and sequence controls to be automated simply and efficiently using IEC 61131-3 compliant programming languages. 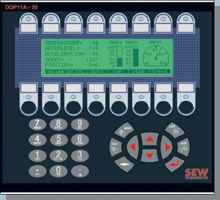 SEW-Eurodrive's Drive Operator Panel offers powerful control functionality through 5 operator terminals, to help operators easily access, diagnose and optimize production processes via simplified visualization and control screens. 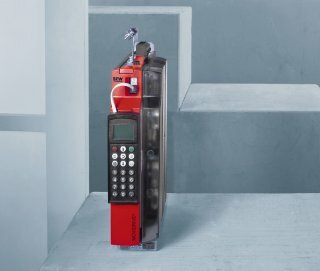 Z.8 Field Distributor houses the frequency inverter, including integrated overload protection and brake control, as well as the local I/O connections, integrated lockable disconnect and motor plug.